Create Embellish Adore: HAPPY NEW YEAR!!! 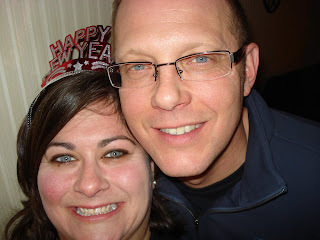 Since we were both with sinus issues over the holidays, our New Years Eve was about 4 hours long... we didn't decide to head out until 10 pm and we were home by 1:30 am. I cannot believe we got out of our pj's but someone was persistant..... Hope you all had a safe holiday season!!!! I do not do RESOLUTIONS... but I like to do things that I want to accomplish.. and most of the time I look back and have some of them completed... only a few are ever left behind. Some days I think that I need to have listed.. BREATHE... but I have learned over and over NOT to SWEAT THE SMALL STUFF!